Ships tomorrow if you order in the next 16 hours 57 minutes. Lutein is a naturally-occurring carotenoid nutrient known for its antioxidant supportive benefits, especially for the eyes. 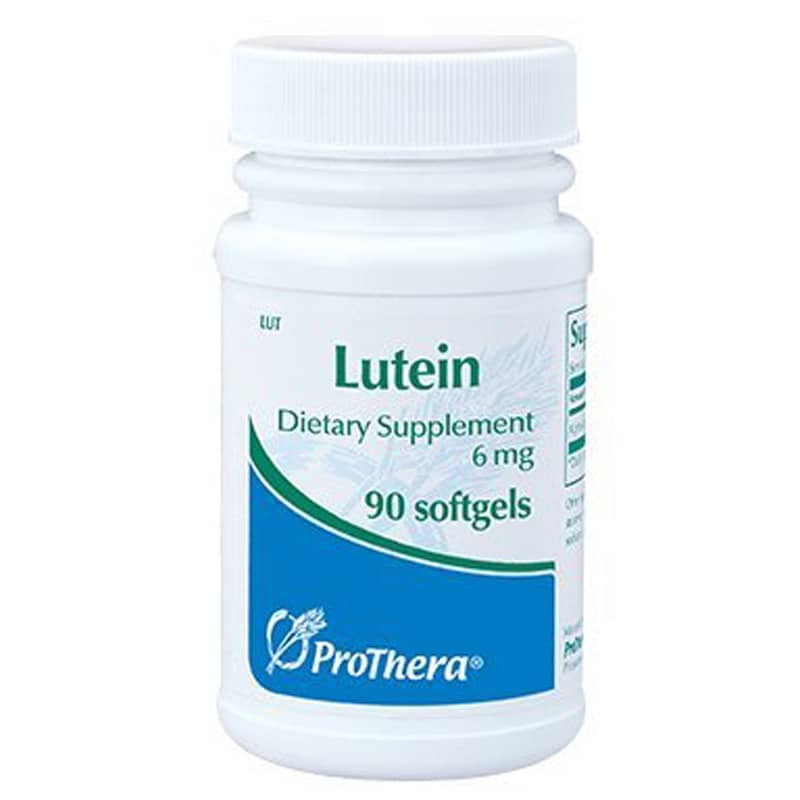 Lutein by ProThera contains 6mg of FloraGlo brand lutein per softgel. Natural-source FloraGlo brand lutein, purified from marigold extract. For natural eye health support, order Lutein today! Other Ingredients: Safflower oil, gelatin, glycerin, water, yellow beeswax, and vitamin E mixed tocopherols (from soy). Contains NO: milk, casein, eggs, fish, shellfish, tree nuts, peanuts, wheat, gluten, corn, yeast, artificial colors, flavors or preservatives. Adults: 1 softgel daily with food.